hen you want to decide about the proper roofing for your property, you need to consider important factors like; aesthetics, durability, value, pricing and maintenance. If you are debating between cedar and composite roofing, you should educate yourself and decide which one suits your property better. Each one has its own pros and cons. When you want to decide about the proper roofing for your property, you need to consider important factors like; aesthetics, durability, value, pricing and maintenance. If you are debating between cedar and composite roofing, you should educate yourself and decide which one suits your property better. Each one has its own pros and cons. When it comes to visuals, nothing can beat cedar shake roofing as it aesthetically unique. It is also the most environmentally friendly roofing. Cedar shake roofing is natural insulator and helps in maintaining cool temperatures during the summer and warmth during the winter. Cedar shakes is the single answer for UV damage, hail, storm, snow and insects. On the other hand, composite or synthetic shingles give your property the look of a classic slate roof, which is less weighed and costs less than a real slate roof. They look like real slate and they allow you to add architectural value to your property. It is long lasting with regular maintenance and it has leak prevention if done right. When it comes to durability, you can count on cedar roofing as much as composite roofing, so it’s a matter of choice. You can use cedar roofing in a variety of situations and the entire experience of using it can be well worth it. The cedar roofs are customizable and you can further strengthen their durability if you desire so. All of these combined add up in order to provide you with a fresh perspective is in regard to what you buy and in the end you need to be satisfied with the result. When it comes to value, both cedar and composite roofing are great. It does come down to your expectations and the stuff you want to do because at the end of the day both types of roofing are designed in order to offer the best possible experience. Cedar roofing is a little better though because not only does it deliver a great durability, but also it is beautiful in a unique way and it adds value to your property. The price for these two types of roofing differ based on where you choose to purchase and the quality you opt for. 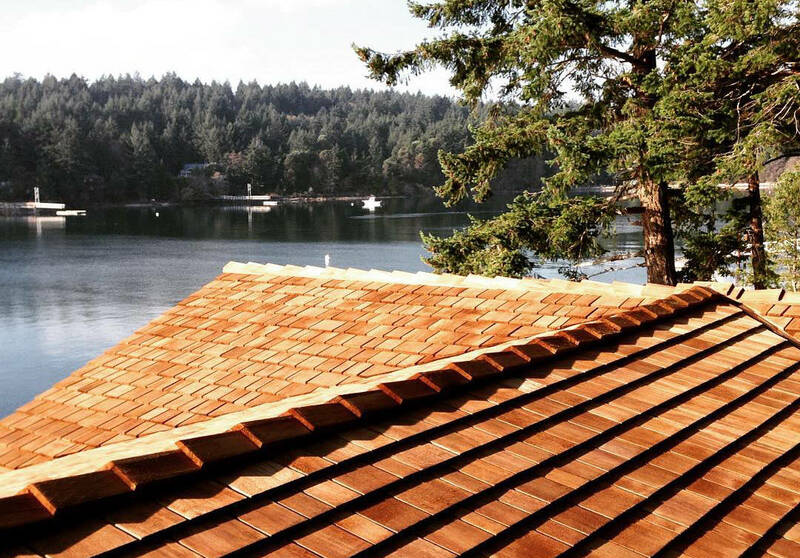 Usually, cedar roofing is a little more expensive but it does offer great visuals and if you do the right maintenance the results can really pay off. So while both are worth a shot, cedar roofing delivers a great value and thus it’s a much better investment. Cedar roofing requires more maintenance when compared to composite roofing but the latter can sometimes have a leak after installation if it’s not installed properly. On top of that, you need to perform proper care and maintenance often if you want to preserve it, as it is when you purchase it. If you don’t do maintenance the results won’t be as good as you would expect, so keep that in mind. In conclusion, both cedar roofing and composite roofing are designed to offer a very good quality and incredible results. While each one has its own pros and cons, there’s no denying that either of them can deliver an astounding roofing experience and it all comes down to you to choose the one that suits your needs. Direct Roofing and Waterproofing is here to provide you with the best in the market. You can have an unforgettable experience with us and enjoy our quality services.